New Delhi: India and China will hold their defence dialogue in December as planned despite the postponement of talks on the border dispute due to differences over the activities of the Tibetan spiritual leader, the Dalai Lama, an Indian minister and two officials said on Tuesday. “I think, we expect whatever is in the pipeline will continue," foreign minister S.M. Krishna told reporters on the sidelines of a passport officers’ conference in New Delhi, the Press Trust of India news agency reported. 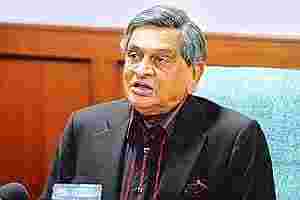 Indian defence secretary Shashi Kant Sharma is to lead the Indian delegation at the 9 December talks while the Chinese side will be headed by Gen. Ma Xiaotian, deputy chief of the People’s Liberation Army General Staff, two Indian government officials confirmed separately. A Chinese embassy spokesperson in New Delhi said there was no confirmation from Beijing the event would go ahead. India had frozen defence exchanges with China last year after Beijing issued a stapled visa, as opposed to a sticker visa, for an Indian general posted in Kashmir to visit China. India saw the stapled visa as a move by the Chinese questioning its sovereignty over Kashmir. Kashmir is claimed by both India and Pakistan, which is a close ally of China’s. Doubts arose over the defence dialogue after India and China called off planned talks on their border dispute, the legacy of a brief but bitter conflict in 1962, after Beijing demanded that India cancel an international Buddhist meet that the Dalai Lama was to address in New Delhi. China claims 90,000 sq. km of Indian territory in Arunachal Pradesh and occupies around 38,000 sq. km in Jammu and Kashmir, which India says is its own. Also, under the China-Pakistan “boundary agreement signed in March 1963, Pakistan illegally ceded 5,180 sq. km of Indian territory in PoK (Pakistan-occupied Kashmir) to China", Krishna told Parliament last year. The border talks that were scheduled for Monday and Tuesday, at which the Chinese delegation was to have been headed by state councillor Dai Bingguo, would have coincided with the Buddhist convention. India refused to cancel the religious event saying that the Dalai Lama was a spiritual, and not a political, leader and an honoured guest. On Monday, Chinese foreign ministry spokesman Hong Leitold reporters in Beijing that India and China were in touch over finalizing fresh dates for the border talks. But Hong also made it clear that Beijing regarded the Dalai Lama “as one who has been engaged in the separatist activities for a long time under the pretext of religion". Analysts in New Delhi have welcomed the defence dialogue going ahead as scheduled. Pointing out that it would boost confidence on both sides, R.N. Das, analyst at the Institute for Defence Studies and Analyses said that “security between the two countries depends on mutual trust". He noted that the talks were taking place against the backdrop of recent media reports about India and China moving troops close to their common borders. “The talks will be helpful in promoting better understanding," Das said. Srikanth Kondapalli, a professor of Chinese Studies at the Jawaharlal Nehru University, said the defence dialogue taking place as planned indicated “business as usual between the two countries". The dialogue will cover military exercises, confidence-building measures, exploring the possibility of sharing technology and outlining the strategic interests of China and India to see whether there is any commonality, he said. “But bilateral shadow-boxing will continue" Kondapalli said, referring to friction between India and China due to differences over the undemarcated border, the status of Kashmir and the absence of a strategic dialogue on the Indian Ocean and the South China Sea.